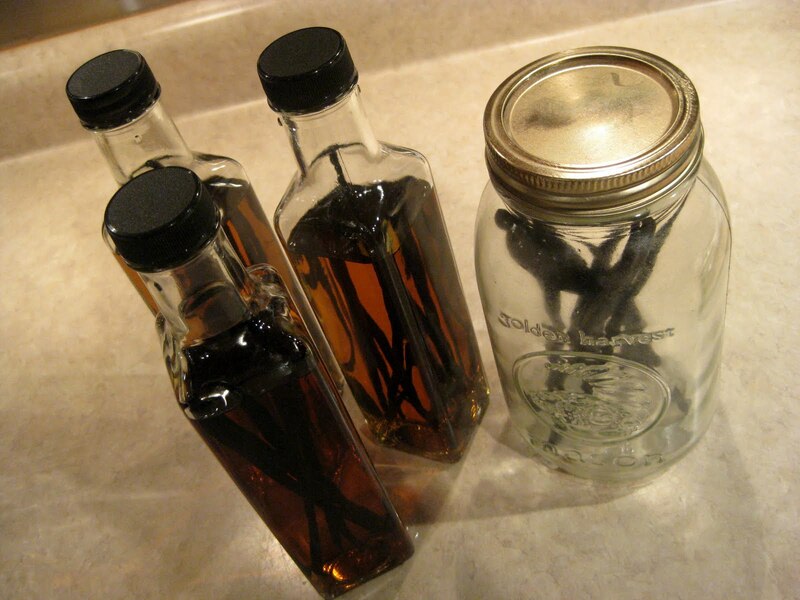 Homemade vanilla extract is a lot easier than you may think! 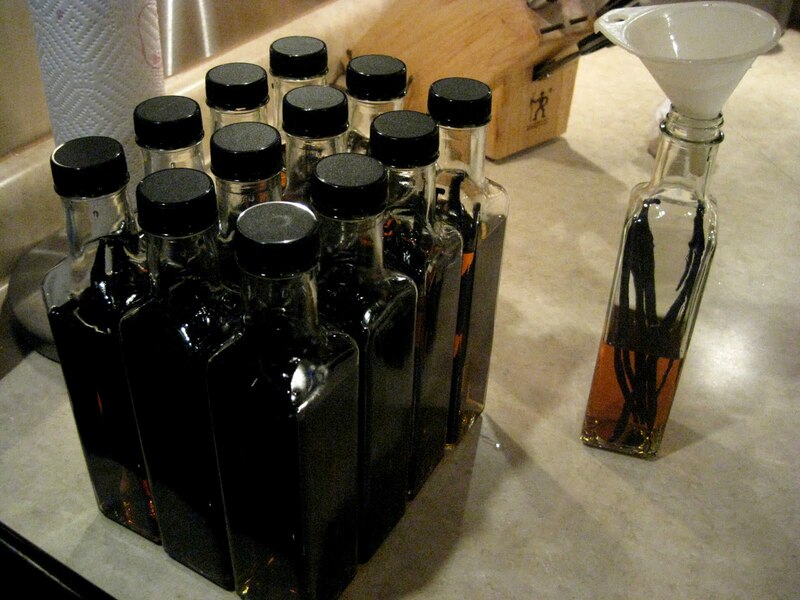 Michael and I made 16 beautiful bottles of this stuff a few weeks ago. It all started when my Mom suggested we give homemade gifts for Christmas this year for all the aunts, uncles, cousins, etc. I thought for a few days about what to make. The idea of giving cookies wrapped in pretty cellophane was too cliche for me. I thought about something everyone could use - and vanilla extract came to mind! I did some research and found some help from Joy. 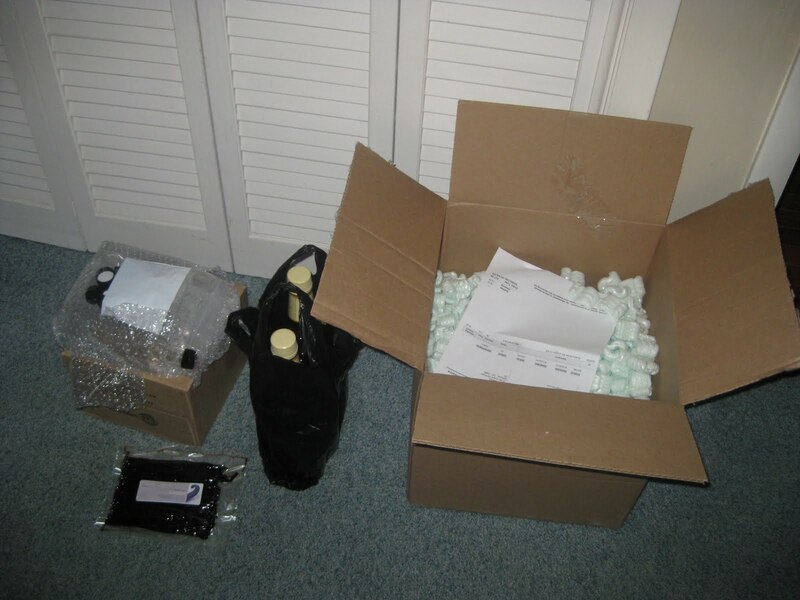 It started with a lot of online shopping. 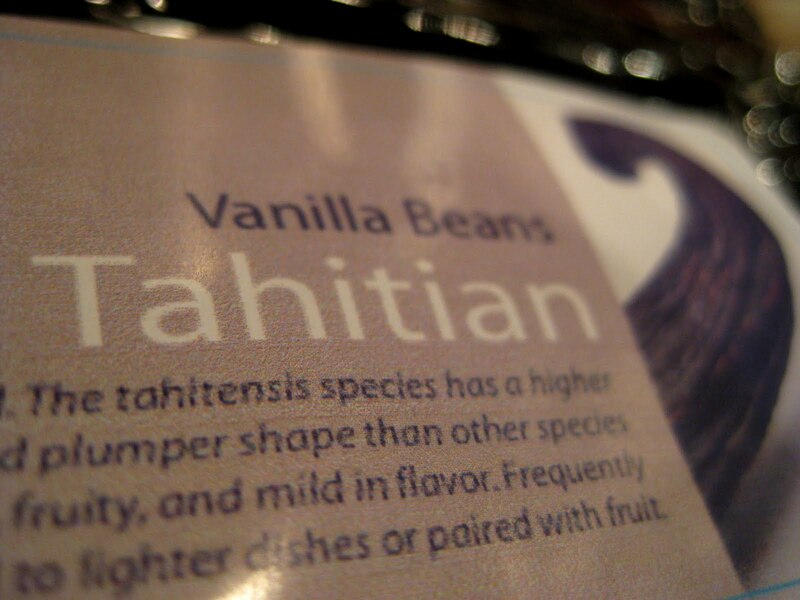 I bought 16 pretty glass bottles, a half pound of Tahitian Vanilla Beans, and 2 bottles of cheap bourbon. Check. You just slice each vanilla bean lengthwise, leaving about an inch still together at the top. 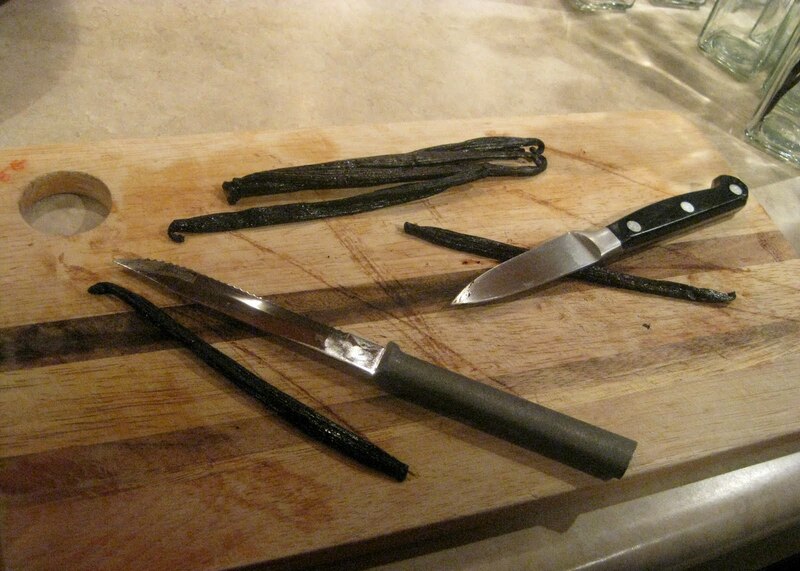 This makes for a messy cutting board, but the kitchen will be filled with the sweet aroma of fresh vanilla. The jars I used are 8 ounces, which is about a cup of liquid. 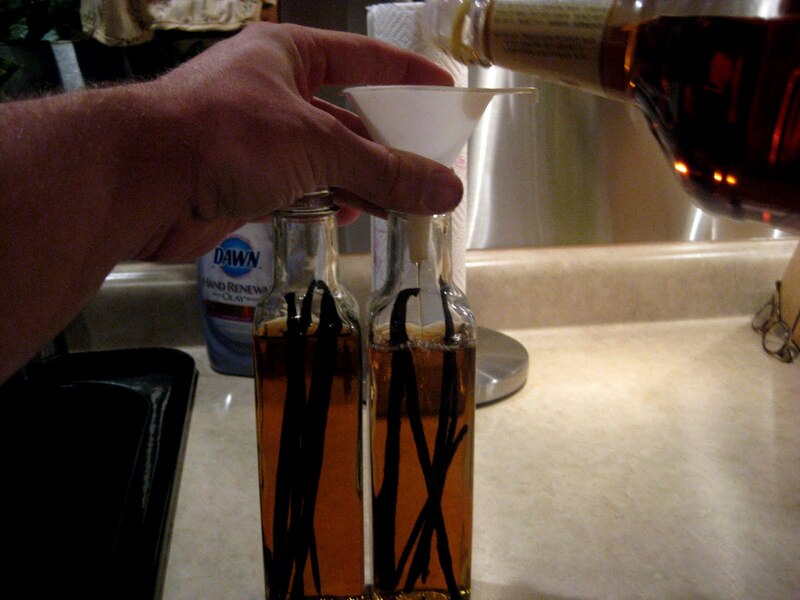 You have to use 3 whole vanilla beans per cup of alcohol. I chose to use Bourbon for this batch, but you could use whatever you want! As long as it's strong. We used a funnel to fill the jars. 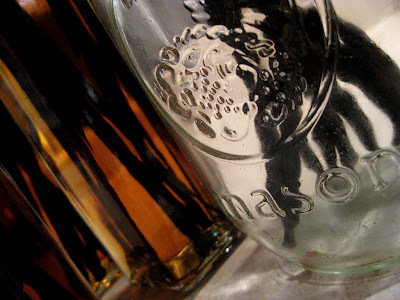 After all the jars are full, secure the lids and give each bottle a good shake. Store them somewhere cool and dark for at least 3 months. 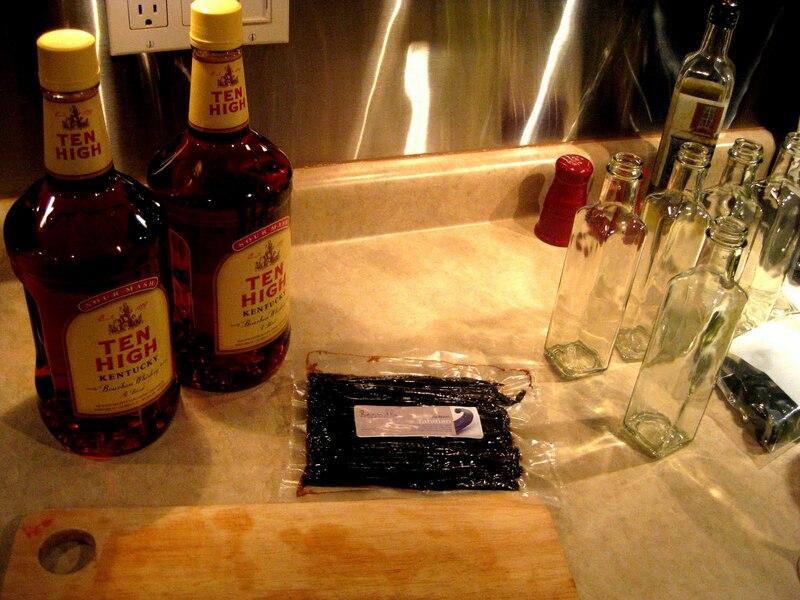 It takes that long for the vanilla beans to release all their delicious flavor into the alcohol. Every week or so, give the bottles a shake. 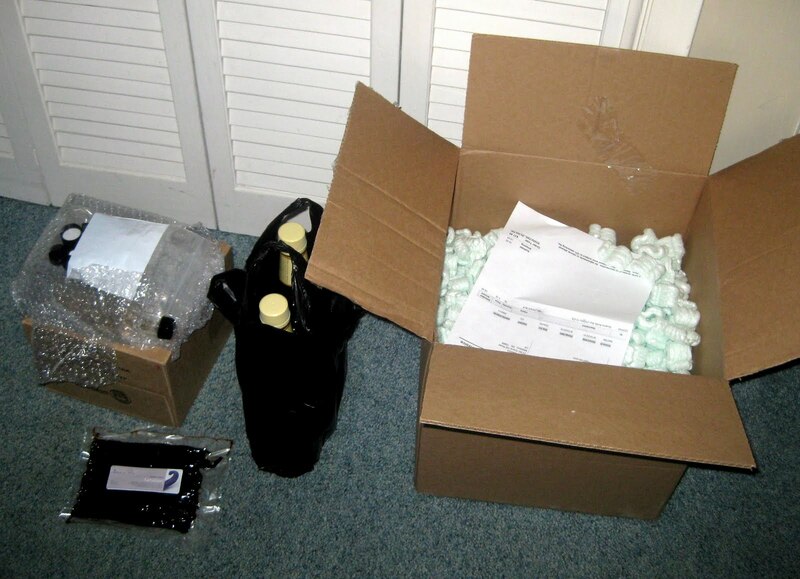 Now all I need is a sweet label and some sort of cool ribbon or string, then I have the most perfect Christmas gifts! Made with love. You know. Do I really have to wait three months to try this? Can't Wait!! !